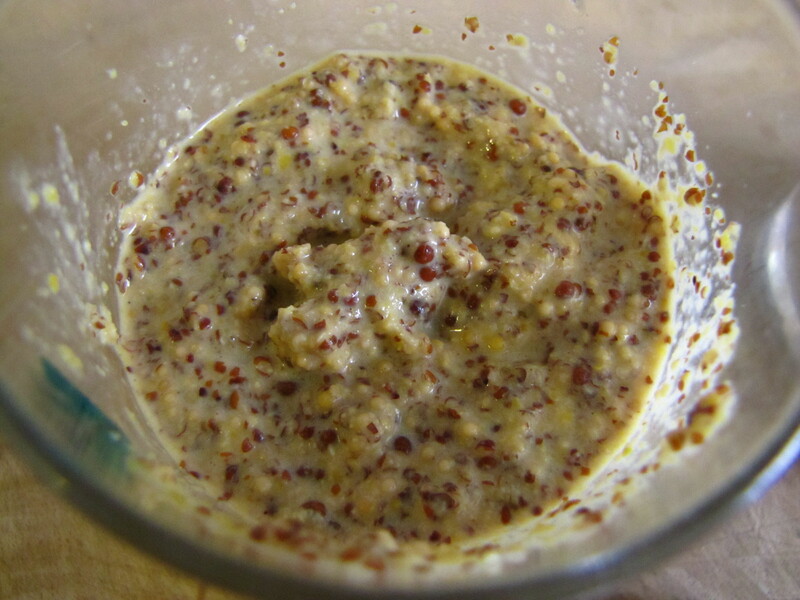 I love mustard, and get through jars of the stuff as it forms an essential component in my ham sandwiches I take daily to work. Wholegrain has always been my favourite, for no other reason that it’s really versatile. Not too hot, not too mild, not too yellow, nice texture, great in sauces. Although I have a number of other jars in the kitchen cupboard, it’s rare that they get used and end up going in the bin once they’ve discoloured and lost their kick. You can use your own liquids and add herbs and spices to get different effects. Experiment away and let me know how you get on! Replace the granulated sugar with brown sugar or honey. Beer & Honey mostard is a classic combination! Add freshly chopped herbs, garlic, horseradish or ground sweet spices such as cloves, cinnamon, allspice or cardamom. These will take a little while to contribute to the flavour of the mustard. If you use fresh herbs or spices, this will cut down on the shelf life of the mustard. Store in the fridge once made.